San Diego Riviera 65 artificial grass features an “M” shaped blade, and ideal for pet areas, school playgrounds, and all landscape. This Silky, firm fibers of Emerald Green and Lime Green colors combine with Brown and Green curled thatching to create a synthetic turf that is natural looking and timeless. Your lawn will benefit from the uplifting pristine quality of beautifully installed Coronado Riviera 65 artificial grass. Never worry about daily upkeep or troublesome water bills due to constant lawn watering – Riviera Monterey-65 will retain its plush, original, vivid green state month after month. Coronado Riviera 65 will withstand any level of foot traffic, extreme weather patterns and function. 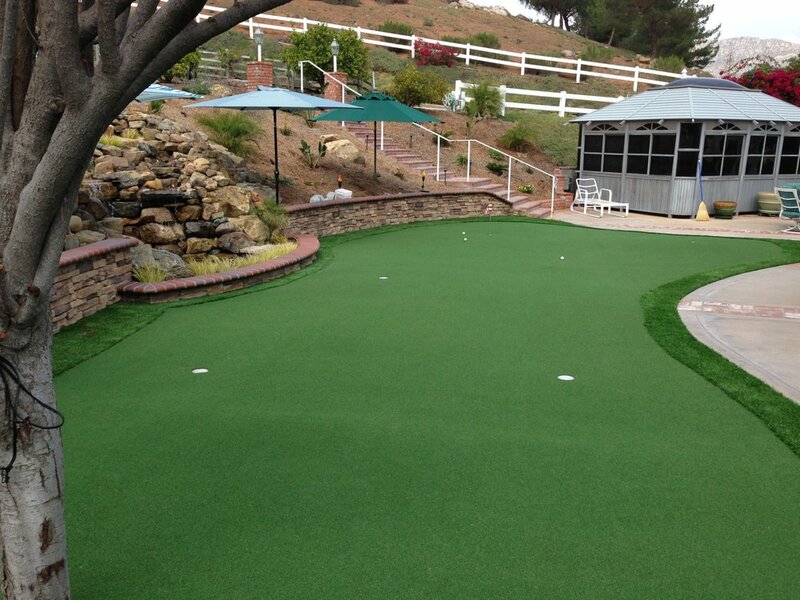 Choose this turf with confidence knowing that you can rely on this turf to last. Best Turf San Diego cares about environmental issues and only uses and installs products certified as lead-free and free of dioxin emissions. As well as Safe for Kids and Pets. Color: Emerald Green and Lime Green with Brown and Green thatching. © 2019 Best Turf San Diego.